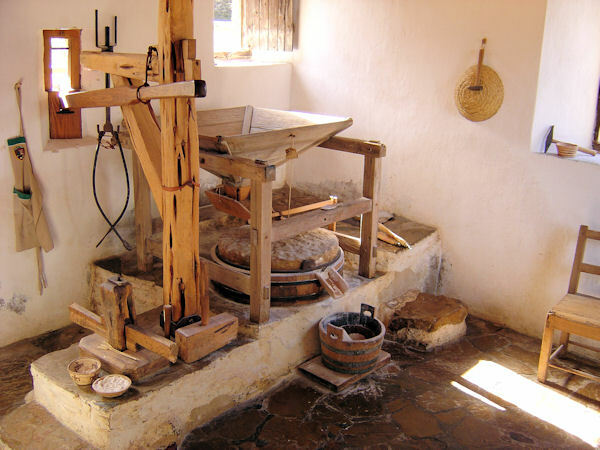 Start with the most important things first: The Alamo in San Antonio, Texas is a symbol not only of San Antonio, but of the entire state of Texas, it stands as a sacred place to come and reflect upon being Texan and American. ; Not just confined to the old church building, which is certainly the most visual representation of The Alamo, this historic landmark is actually a complex of a little over four acres. A shrine, Long Barrack Museum, Gift Museum, the old church and various gardens are all located within the compound. The Alamo is open to the public for nearly the entire year, only closing for Christmas Eve and Christmas Day. 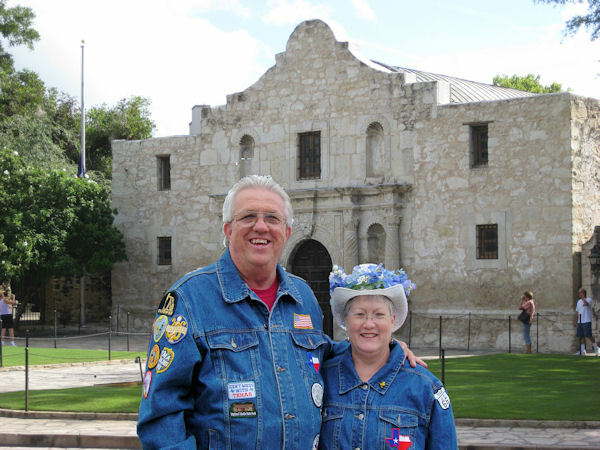 There is no fee to visit The Alamo, making it an informative and inexpensive visit that is sure to leave you with a number of memories. Whether you're from Texas or not, The Alamo is sure to inspire all with feelings of patriotism and pride. Sea World; is one of San Antonio's major attractions. ; Explore aquatic culture by petting dolphins, coming face to face with sharks and moray eels, or by feeding seals, sea lions and river otters by hand. ; Several animal entertainment shows take place throughout the day including the Cannery Row Caper which stars Clyde and Seamore the Sea Lions, the Rockin' Ski Party, an extreme water stunts show, and don't forget the world-famous Shamu starring in "Believe," a show that bridges the gap between humans and killer whales! ; Sea World is a complete theme park with six thrill rides and a full water park within its gates so remember to take your nerves and your swimsuit! For more water park adventures, the grandkids will love Splash-town which offers 20 acres of water fun with over 50 different rides. ; Splash-town features everything from scaled down rides for little-ones, like Tube's Tree house, to the full-blown, head-first water slides, like Head Rush, the only head-first water ride in San Antonio. ; Splash-town also has a lazy river and wave pool for relaxing after the exhilarating rush of rides or for those who like to take it a little easier. 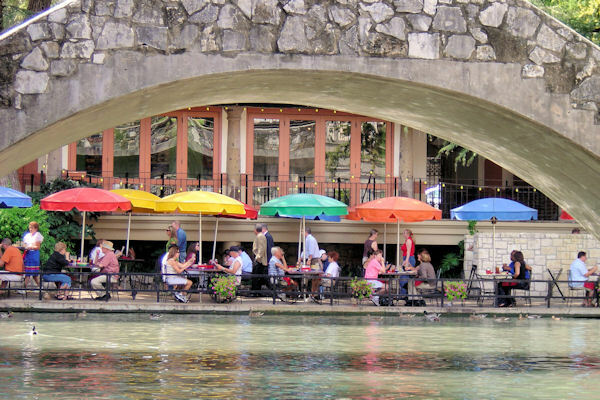 The River Walk is the premier social hot-spot for San Antonio 20 feet below street level on the San Antonio River. A mix of people can be found on the 2.55 mile stretch from tourists to families to party goers to businesspeople all enjoying the mix of dining, clubs, shopping and entertainment both day and night. ;; Enjoy a relaxing stroll along the Paseo del Rio in one of the park like sections, enjoy a delicious Tex-Mex dinner at one of the outdoor cafes or at the 3-story Hard Rock Cafe. with three balconies that overlook the River Walk, or go for a thrilling night out at one of the numerous clubs. ; The River Walk is especially booming during springtime's Fiesta San Antonio and during the wintertime Mud Festival, when the River Walk is drained for cleaning. Just across the street from the River Walk is the Aztec on the River Theater. ; This historic theater has been described as an architectural and technological masterpiece. ; Visit the lobby for special effects shows everyday for free! The Institute of Texas Cultures offers an inside look at how Texas came to be the cultural melting pot that it is today. ; Learn about how technology and science have affected the area and learn about the intrinsic value diversity has had on the people of this great state. The Tower of the Americas offers breathtaking views of the entire city. ; Scenery isn't all this 750 ft. tower offers, however. ; Visitors may also enjoy fine dining a the tower's restaurant, a light lunch in the observation deck Cafe or a perusal of Texas history in the 4D multi-sensory theater. The San Antonio Spurs (2007 NBA Champions! ), professional basketball team are housed in the AT&T Center in the heart of downtown. ; When the Spurs aren't playing, you can usually find the WNBA team, the Silver Stars, the AHL Rampage or the San Antonio Stockshow and Rodeo. ; When these events aren't happening, the AT&T Center hosts a score of concerts and other events. ; Check out this events calendar for more information on the AT&T Center and other events throughout San Antonio. Vacation packages are an excellent way for folks like you to live the San Antonio experience without the stress of tedious planning. ; Why not have someone else worry about your hotel reservations and activity passes? ; Select one of Vacation Made Easy's feature packages or create your own custom package to suit all of your needs. ; While you're at it, check out the maps to get an understanding of the area before you leave home! If you can visit only one city in Texas, make sure it is San Antonio.